The coconut tree is one of the most versatile plants in existence. Whilst we are all familiar with the coconut as a food source not many of us know the myriad of other benefits the coconut holds. In many countries coconut husks are woven into fabrics for mats, insulation and much more. The shells themselves are used as bowls, to make utensils and as floatation devices for rafts. Yet it is the coconut itself that draws the most interest. Coconut flesh has a beautiful taste and is used all over the world in a variety of cooking styles. Coconut milk is gorgeous to drink on its own and also is the chief ingredient in curries all over the world. Over the years there have been many, many claims made about the natural health benefits of coconut oil mostly surrounding the dietary and medicinal properties that it holds. This is why in the west coconut oil has quickly become a hot consumer product with thousands of companies including it in their beauty products and thousands of recipes including it as an alternative to other oils. Yet a lot of controversy still surrounds the actual health benefits of coconut and debates still exist as to whether claims of its benefits have been exaggerated. This is where this book comes into play. We have carefully researched the benefits of coconut oil and outlined at length all the fantastic qualities that can come from eating coconut oil and applying it to your skin. 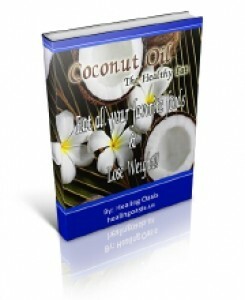 We have left out some purported benefits through lack of evidence to support them and hope that this book will go some way to dispelling the myths surrounding coconut oil, whilst providing the reader with knowledge of coconut oil treatments that will be applicable to everyone in their normal lives. Thank you for purchasing this eBook and we hope it will help you as it has helped us. Coconut oil has long been regarded as one of the best hair conditioning natural health products in the natural world. Many people worldwide use coconut oil as their sole hair conditioning product as it is relatively cheap and gives remarkable results. The benefits of coconut oil for your hair are numerous. Coconut oil helps keep your hair fully moisturised, it promotes full growth and creates strong hair whilst keeping the scalp free from flakes. Its main benefit comes from increasing the protein retention in your hair – allowing for fuller and stronger growth. Whilst many companies use tiny amounts of virgin coconut oil in their high end products a lot of people are now turning to pure virgin coconut oil for the benefits it brings. The key benefits of using coconut oil or even coconut oil cream in your hair can be exposed by looking at the chemical properties of coconut oil. Often people proscribe coconut oil as a remedy for hair loss - or at least to slow the onset of hairless and we can soon see why. Lauric acid is found primarily in the oil produced from coconuts. One of the primary causes of hair loss and recession of the hair line is the action of microbes on the scalp and at the base of the follicles. Lauric acid acts as an anti-microbial oil that prevents the build-up of damaging microbes thus preventing hair loss and stimulating fresh strong growth. This means that not only is coconut oil great for your hair but it can also prevent the loss of hair if used regularly. Virgin coconut oil contains a high yield of not only Lauric acid but Capric acid as well. Capric acid is another anti-microbe that works in a similar way to Lauric acid. It tackles microbes at the source preventing further spread and loss of hair whilst stimulating new hair growth. We all know how important vitamin E is to natural health generally. Vitamin E helps keep the skin in tip top condition and is one of the key ways in which your hair retains its shine and bounce. The fatty acids in coconut oil serve as a great anti-dandruff mechanism that far outshines most anti-dandruff shampoos. Regular application softens and moistens the skin reducing the accumulation of hair and flakes. The benefits of virgin coconut oil for your hair are fantastic. This is why more and more people are replacing their traditional shampoos and conditioners with either pure or high density coconut oil products. Many people have now started using coconut oil for stylistic reasons as it acts in a similar way to hair wax or gel - without producing the flakes of typical wax and without damaging the hairs strength. This is due to coconut oils ability to retain moisture at almost all temperatures.